It has been twenty years since France won the World Cup. Fifteen years ago, France was just about to enter a heat wave which killed thousands of people. I was freezing on the beach at Christchurch, England during early July 2003, but a few days later the weather warmed up. (I wish I would have gone a week later when it was warm.) During the first two weeks of August, temperatures in France were near 100 degrees. 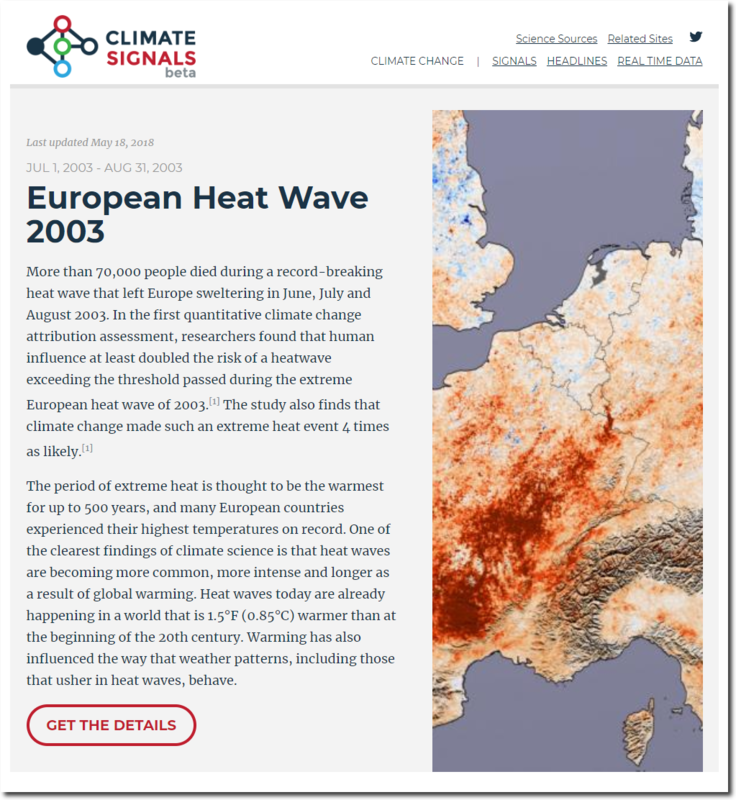 Two months ago, climate experts declared the 2003 heatwave to be the new normal. The study also finds that climate change made such an extreme heat event 4 times as likely. 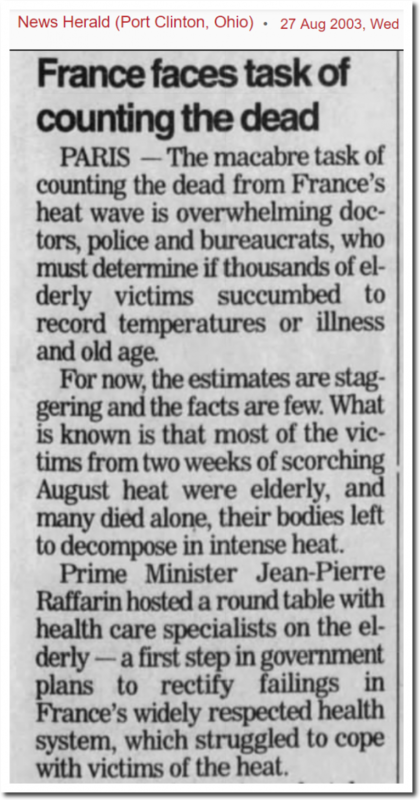 As usual, the climate scientists who did this study didn’t use any actual data – which shows that 2003 was an outlier and that there has been no change in the number of hot days in France over the past 120 years. France seems not to show the high heat that the US, and Canada’s Prairies suffered in the 1930s. Over at WUWT they have a post about a paper where “scientists” are making excuses for why the tree lines in the Alps are not advancing higher due to the supposed warming. That is what the “Climate Change” scam has been reduced to. Making excuses for what is not happening that should occur if the world were warming or fabricating lies to try and cover up what is actually happening seems to be well over 50% of what they do these days. They are on the defensive. And Trump is going to accelerate that. The wall of denial is kept erect by a wall of money. Stop the funding, stop the scam. If I recall, France doesn’t, or at least didn’t at the time, have a lot of air conditioning. Also, a big problem was that many of the victims were elderly who couldn’t cope. In America, it’s likely that neighbors or members of the congregation would come to check on the elderly. In Western Europe the neighbors know it’s the government’s responsibility. The heat wave was in August, most French families leave town for the coast/outremer/mountains in August. Meaning that any elderly relatives wouldn’t have family available during that heatwave. Doctors and emergency service personnel also holiday with the rest of the country. France is a strange mix of old traditions and modern living. It’s not unusual to be at a seaside town in August and to see several shops with signs saying closed for annual holiday. When a shop is closed at lunchtime, which small family businesses still do you know the it won’t be open again before the stated time and probably 10-15 minutes lafter that. Every time someone has a weather event, it is the new normal. How often have these “new normal” events have happened since? None! A total fail with “new normals”. 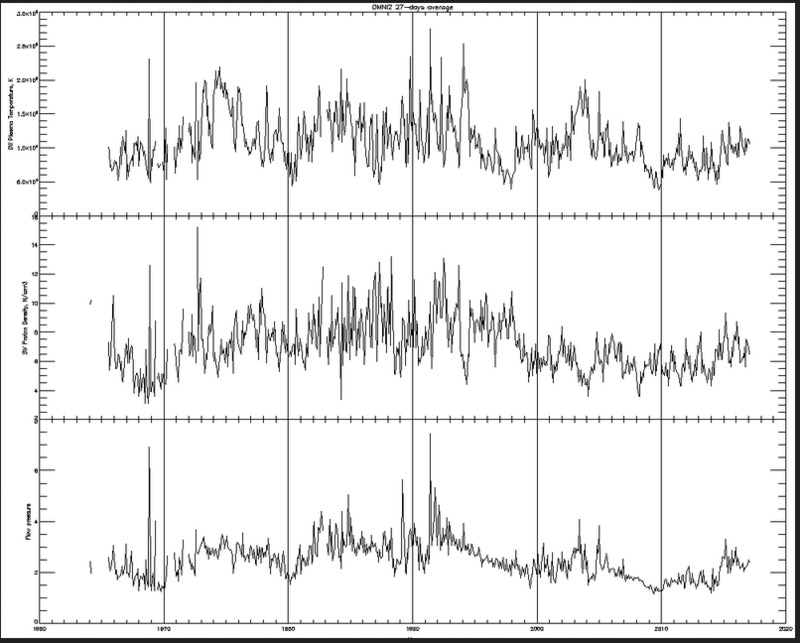 The 2003 heatwave during a period of very fast-hot solar wind conditions, just like the heatwaves in 1975-76. And along with heatwave events in 1948-49, 1934, and even the very warm 1686 in the middle of the Maunder Minimum, they all occurred on the same type of heliocentric quadrupole configuration of Jupiter, Saturn, and Uranus.